Sometimes, seeing the frequently asked birthday message questions of others can help you choose the perfect birthday wish for your loved one. 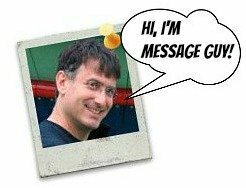 On top of offering over 6,000 birthday messages, BirthdayMessages.net has answers (from me, Kevin, Message Guy and the creator of this site) to many frequently asked questions about birthday wishes, birthday quotes, birthday poems, birthday toasts and more. All the questions below (and the ones on the previous page) come from BirthdayMessages.net visitors (people just like you), so it's very possible you come across a question (and answer) that is quite similar to one you've been thinking about asking yourself. It could even be a question you may be embarrassed to ask (but would love to know the answer to). I'm looking for a nice poem for my 23-year-old wife. Her birthday is today! Do you have one? Your best bet is to check out my Romantic Birthday Poems section. It's full of poems that can help you express your love for your wife, which is what you should do on her birthday (more than any other day of the year). All you need to do is pick the romantic approach that comes closest to yours. Do you have birthday wishes for a generous, clever girlfriend turning 22? By the way, she's my lover. I love her so badly. We connect. She likes hip hop, R&B and motswako. She is model tall, skinny, dark, funky, easy going, outgoing but smart. Really brilliant. Plus, she has a great smile. She sounds like a 10 out of 10. Enjoy this time. It's great to be in love. Your birthday message should reflect this happy period in your life, taking into consideration the personality of your girlfriend. A truly romantic message is called for. Take a look at the birthday messages in my Romantic Birthday Wishes, Romantic Birthday Quotes or Romantic Birthday Poems section and pick one (or more) that best expresses your feelings. You can simply be clever, cute and romantic with your birthday wish. You could choose a more poetic approach. Of course, you can just be straightforward romantic (in a classic way). If you need more options, also check out my Girlfriend Birthday Wishes section. It's his birthday, but we broke up. He is polite. He used to love me a lot but it's been a long time since we've talked to each other. But that doesn't mean I'm don't see him around. I mean that we go to many of the same places. HELP! What should I do? Should I send a birthday message to my ex-boyfriend? My answer really depends on what your intentions are. If you want to get back together again, sending him a slightly heartfelt birthday message (and I mean "slightly," not a mushy message, because you don't want to scare him away) could make him think more than twice about you. In other words, it would really get his attention. He may actually be waiting for a sign from you. In this case, sending a message is a great idea. On the other hand, if you do not want to get back together, sending a simple birthday message would not be a bad idea, as long as it was not romantic at all. It would be especially okay to send a message if the two of you ended your relationship on relatively friendly terms. Of course, if the relationship ended badly, do not send any birthday message at all. Bottom line: Decide what your intentions are before you send a birthday message. Then, choose from one of the birthday messages I have on my Boyfriend Birthday Wishes or Friend Birthday Wishes pages, depending on your intentions. Sorry for the long answer but your question warrants it. Good question. It's my first birthday together with my boyfriend. He's 48 years old on Sunday. He's a big kid, rarely serious. What type of message should I send him? You can go one of two ways: you can concentrate on the fact that he is in his 40s or the fact that he's your boyfriend. I think you should go with the "boyfriend" route because 48 (aside from being two years away from 50) is not really a milestone birthday, although it may seem like it is to your boyfriend. All the same, since it's your first birthday together, you should really try to be at least a little romantic in your message. Get started with a birthday greeting or two from my Boyfriend Birthday Wishes or Romantic Birthday Wishes section that says everything you want to express...and go from there. You can use all of the birthday verses you choose or just one of them. Your choice. You can be hopelessly romantic. You can also dial down the "mushy stuff" a notch. You can also be very poetic. Do you have a funny wish for a golfer aged 30? He's a funny birthday boy with a bright personality and enjoys his golf. Low handicap. Now I know how you stay so young looking...You take Irons every day! Happy birthday to my favorite golfer! Every time you celebrate your birthday, it reminds of something very funny...your golf game! Happy birthday to my favorite golfer! Now that you’re turning (age), I think you deserve a brand new set of the best golf clubs. I didn’t get you any, but you certainly deserve them. Happy birthday to my favorite golfer! For most people, their birthdays, as they get older, can be a little difficult. For you, they’re always “rough” (especially if you decide to play some golf). Happy birthday to my favorite golfer! Whenever it's your birthday, I feel like celebrating big time. Let’s get this party started and “bogey!” Happy birthday to my favorite golfer! Hey! You’re turning (age) and still have the strength to drive 250 yards. Too bad it’s only in a golf cart! Happy birthday to my favorite golfer! What type of message should I give to my husband (who loves watches and is 66)? A beautiful watch before your eyes. Enjoy your life every day, around the clock. There’s nothing like time itself to remind you what’s dear. Any suggestions for a 70th birthday message to my husband? He is a family man. He has 4 children and 17 grandchildren. He keeps busy all he time. He is active in sports. He's a fisherman and hunter. He's also a good husband, good dad and grandfather. Plus, he's well traveled. Turning 70 on its own is a major milestone. You can choose to focus on this occasion (rather than add the "husband" element into the message). Probably, the combined "70th-Husband Birthday" route is the way to go. Before you get started with your birthday wishes, keep in mind that turning 70 can be tough for some people — since they think it's the last quarter of their life. For others, if they're healthy, it's the best time of all because they still feel young at heart. In your case, it seems that your husband is in a "good place" and has chosen to jump into life with both feet. Then, should your birthday greeting be philosophical? No, because your husband seems to know what he wants out of life. 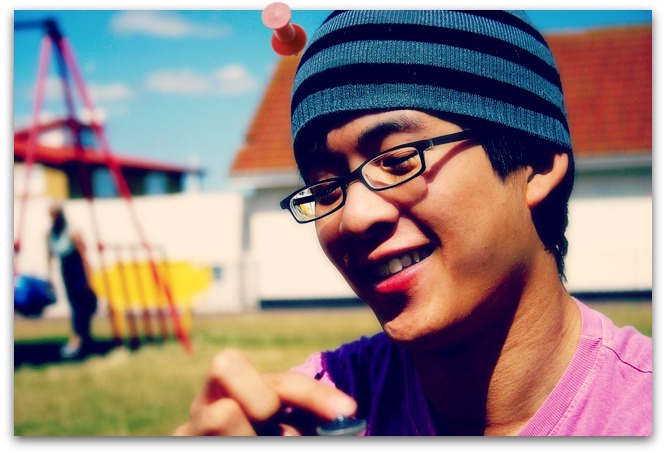 Should your message be sentimental? Funny? Yes, on both accounts. Your husband certainly has lots of "joie de vivre," so he can probably take a little joke and a touch of sentimentality (since he is your husband, after all). Choose one or more of the greetings from my 70th Birthday Wishes section or Husband Birthday Wishes section — or from both sections (and combine them into one birthday wish). Do you have special bible verses to use as birthday wishes for my wife on her 59th birthday? Got Mom 80th birthday wishes? The best birthday message for an 80 year old (who is also your mother) is something thoughtful that celebrates and honors her amazing life, plus expresses how you feel about her in a very sentimental way. You may want to personalize your birthday wish by adding the name of the birthday girl — or have it framed and wrapped to give as a gift. Whatever you do, start with the examples in my Mom Birthday Wishes or 80th Birthday Wishes section. Got brother birthday poems? I need a birthday poem for my brother. He's 25. I need it to be funny. Do what you want and act very cool. How about I lend you my stinky old shoes? It's really all yours to keep. You can use both if the spirit moves you. However, if you want to see more examples, check out my Funny Birthday Poems section. Got birthday wishes for my mom? As I've mentioned on this site, Moms are super special. A mother is a wonderful combination of warmth, kindness, laughter and love. So figuring out what kind of message to write is easy. Make it as heartfelt as possible. Should it be sentimental? Definitely. Philosophical? Why not. Inspirational? Sure. Funny? It depends on the birthday girl. Whatever you do, start with one or more of the options in my Mom Birthday Wishes section. Select the message that says everything you want to express...and go from there. If you don't see your Mom too often, select a birthday messages that tells her how much you miss her. Or go the truly sentimental route by picking a birthday greeting that tells her just how wonderful she's been as a mother to you. 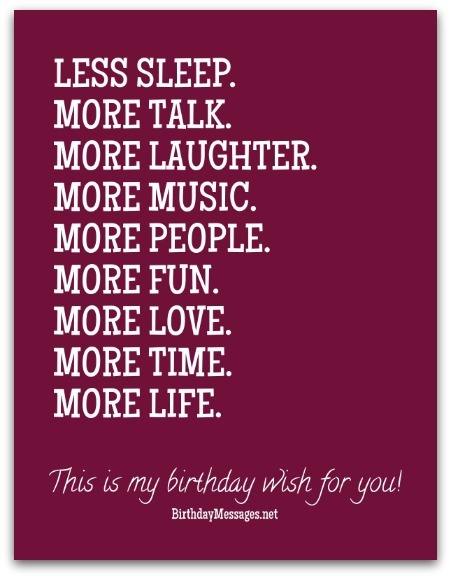 If you need messages with a funnier, more sentimental, cuter, more inspirational, cleverer, more romantic, cooler or happier tone, check out my Birthday Wishes section. If you want an actual quote by someone famous, check out my Birthday Quotes section. Do you have a special, sentimental birthday wish for a special aunt? She is turning 75. She spent a lot of summers helping my Mom take care of us. She is kind, loving, funny and special in every way. I want her to know how much I love her from my heart. I live six hours away, so I only get to see her now once a year. Sending a birthday message that is highly sentimental is the right way to proceed. But your message should have cute and sentimental tone. It should also be a birthday greeting with a substantial, very sincere message (since she helped your Mom take care of you). With this direction in mind, you will have no problem finding perfect messages in my 70th Birthday Wishes section. Take a look at the examples in this section and pick one of them (or more than one) — whatever best expresses your thoughts. It could be short and sweet. Or you can go a little more flowery. it could be full of flattery too. I'm looking for something funny for my brother's 20th birthday. He is always doing or saying something funny. Got birthday wishes that are really funny? A funny message is definitely the right way to go. That's because turning 20 is not a major milestone. It's sort of a mini milestone...At 20, you're no longer a teenager. You are a young adult. For this reason alone, you can, sure, write something meaningful or inspirational. But this birthday, from a birthday message perspective, is best expressed in an age-related joke. How funny you want to be depends on your brother's personality. Whatever you do, write something that best expresses your feelings. You can go right to the funny bone (with good, old-fashioned, sitcom-style humor). You can even be a little clever with your humor, classing it up a bit. And, of course, you can also poke fun at your brother's age. You'll find birthday messages galore, with all the ingredients you need or want, in two sections: Brother Birthday Wishes and Funny Birthday Wishes. I want to wish my best friend, whom I call "Grandma," a happy birthday. I always tease her and do funny stuff. So it's her birthday and I want to wish her a "happy birthday" in a different way. Can you please help me? "I'm so old they've cancelled my blood type." "You know you're getting old when you can pinch an inch on your forehead." "As we grow older, our bodies get shorter and our anecdotes longer." If you haven't already looked at this site, look for funny birthday quotes right here. 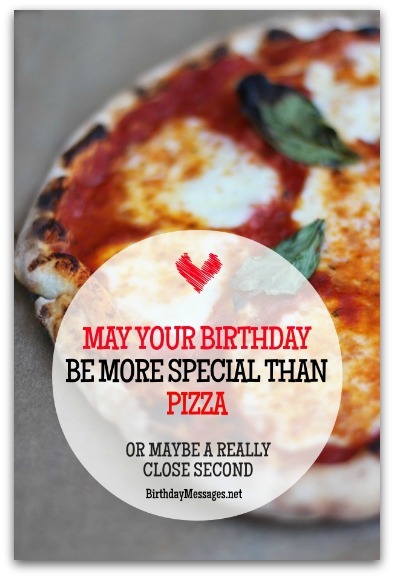 If you don't want direct quotes, you can find funny birthday wishes right here. Or, if you want straightforward birthday greetings for your grandmother, check out my Grandma Birthday Wishes section.